In honor of me turning 30, I’m making mix CDs of my favorite songs from each of my 30 favorite musical artists/groups. Read the introductory post for more background information on my 30 at 30 project. Reminder: there is no scientific rationale for this list. They’re simply my personal favorites. 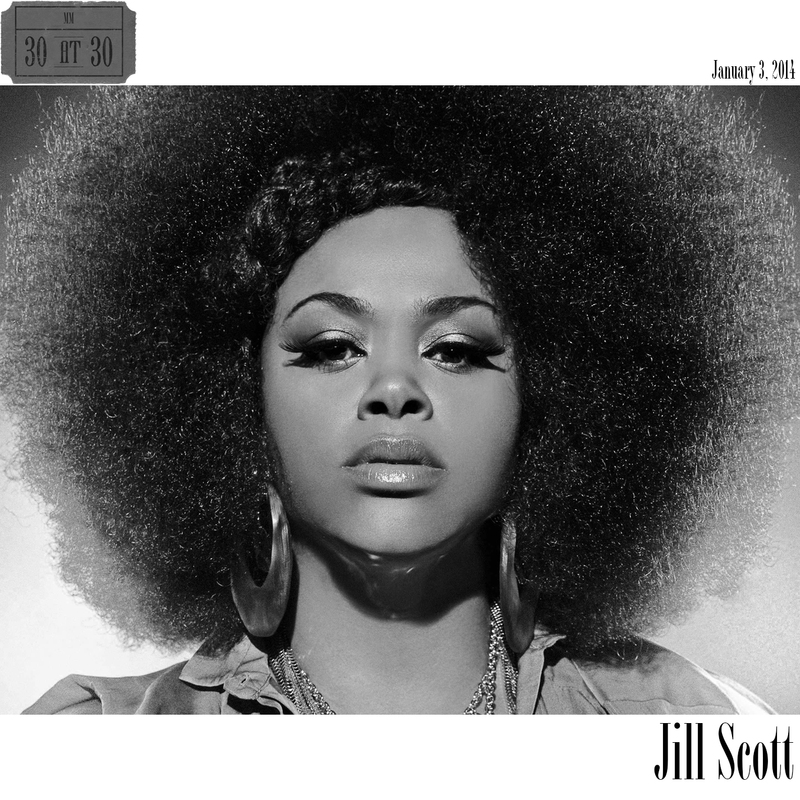 Coming in at number 25 is Jill Scott. Although modern day R&B is probably the most fitting category for Jill Scott, any one classification of her musical style is an oversimplification. She borrows from and incorporates elements of jazz, hip hop, soul, spoken word poetry, and more into her music. Scott actually first began performing as a spoken word poet. In addition to the stylistic carryover into some of her music, the title of her first album reflected this facet of her career. Her 2000 debut album was titled Who Is Jill Scott? Words and Sounds Vol. 1. Three tracks from that album made it onto my 30 at 30 compilation. Her follow-up was 2004’s Beautifully Human: Words and Sounds Vol. 2, which had six tracks make the cut. In 2007, Scott released both Collaborations (six tracks on my compilation) and The Real Thing: Words and Sounds Vol. 3 (three tracks). Her most recent album was 2011’s The Light of the Sun, which landed two tracks on the compilation. More than anything, Scott’s music is feel-good music. Even if her relationship-based lyrics don’t always have happy endings, there’s an optimism and zest for life in her voice that comes through in her music whether she’s singing, speaking, or somewhere in between. Try listening to “Golden” or “Blessed” without smiling. These tracks are positively positive—refreshing sentiments in a too-often cynical world. It’s easy to complain. I know I am guilty of it from time to time, but these songs from Scott are a great reminder to relish the good things about life rather than dwell on whatever little setbacks and obstacles we face. The first time I ever heard Jill Scott was on Will Smith’s Willenium album on the track “The Rain.” The track later appeared on Collaborations in 2007, which was the first Scott album I bought. In addition to “The Rain”, five other Collaborations tracks made the cut for my 30 at 30 compilation. Scott’s collaborations show her range. On “8 Minutes to Sunrise” featuring Common and “Daydreamin'” featuring “Lupe Fiasco, Scott oozes cool and confidence between her collaborators’ raps. On “Good Morning Heartache” Scott croons a tune right out of a jazz club. One of my personal favorites is “Love Rain (Head Nod Remix)” featuring Mos Def, which turns up the funk a bit underneath the original spoken word poetry of Scott. Finally, the 13th track on my compilation, “Slide” featuring Jeff Bradshaw rounds out the songs from Collaborations, and serves as a transition point, sliding into a more sultry sampling of Scott’s work.